Its a Wonderful Movie - Your Guide to Family and Christmas Movies on TV: The Past Returns Tonight on "Heartland"... Get a Sneak Peek! 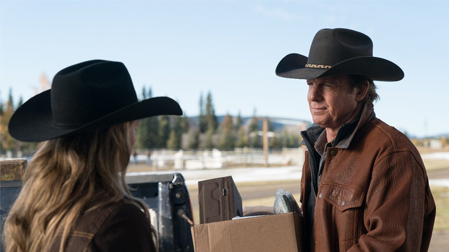 The Past Returns Tonight on "Heartland"... Get a Sneak Peek! April 11, 2018 at 8pm/7c. on UP. Storyline via CBC: As the family struggles to deal with Tim’s news, Lou throws herself into planning her high school reunion to impress an old rival. April 11, 2018 at 9pm/8c. on UP. Storyline via CBC: A threat from Ty’s past arrives in Hudson, putting the entire Heartland family in danger. Please note: I have not previously watched these episodes above. "Heartland" is a well known family television drama, from Canada, that often deals with real-life issues. Please always check ratings before viewing. There have been everyday struggles and joys at the Bartlett Ranch, called Heartland. We've watched the children grow and blossom into adulthood, as family is the root of every story, and no matter where they go... all roads lead home! I hope you enjoy these all new "Heartland" adventures tonight on UP!